All of our shirts are individually hand crafted to each of customer's own design preferences and personal measurements. We have carefully sourced outstanding fabrics from around the world and along with our Master Tailor's 'finicky' attention to detail this ensures we deliver exceptional quality shirts. We have carefully developed our online design and order service for our client's convenience. 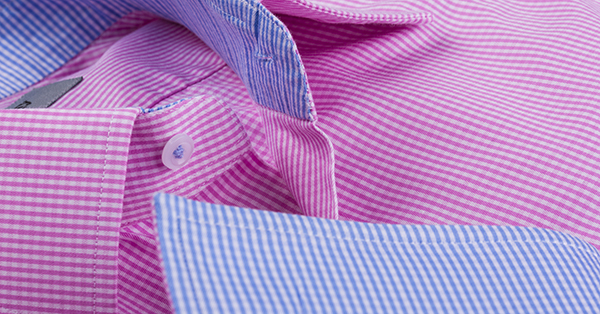 Our simple two step process allows you firstly to choose every aspect of design of your shirt from the choice of fabric to your own personal design preferences. The second step is to enter your own personal measurements which, to assist, we have included an easy step by step guide for your guidance. Of course, you only need to enter your measurements once and our workshop will keep them online for ease of use in the future. Hand crafted, double stitching and three ply inserts into our collars and cuffs ensures absolute quality. 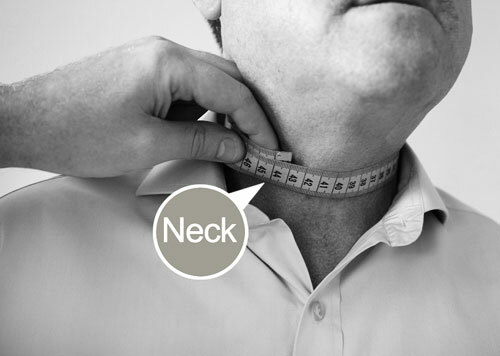 The neck measurement should be taken by placing the tape measure around the circumference of your neck. Ensure that you put two fingers between the tape measure and your neck. Do not tighten the tape measure.